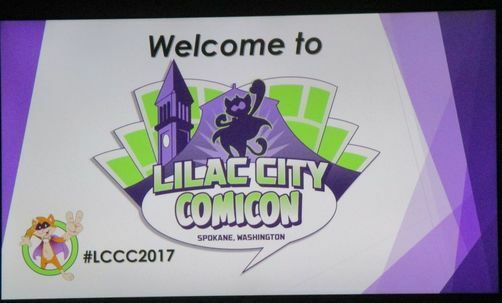 During one of my breaks from our booth at Lilac City Comicon 2018, I walked through Artists Alley with my wife. One of the booths had their little book opened to the penguin story, and I had to buy it. After all, we were selling penguins, shouldn’t we support others who were also selling penguins? The booklet contains four stories and is called “Avie’s Stories” (Nov. 2017) from Arledge Comics. It was one sweet find. I like to support the people in Artists Alley whenever I can because I know how hard it is to make a living at art. Too many people see art as something inconsequential or superfluous when the exact opposite is true. Regardless of the art form, art is essential to living, and it can make surviving a little easier. Of course, it is easy to point the altruistic value of supporting someone else’s art. It is equally easy to point out the moral implications of my purchasing choices -- whatever I do to someone else, I am given the world the right to do to me. What is more difficult to expound upon is the pure joy I get when I find a gem like “Avie’s Stories.” While every art form has its place in this world, not every work of art has a place in my home or heart. To find a story as beautifully written, as kind and gentle, and as thought provoking as this collection is rare. Manny Trembley has done it with his Victoria Jr. series. A.A. Milne did it with Winne the Pooh. Three of the four stories are about acceptance of self or acceptance of others, with one of them about accepting help and overcoming limitations. (The other story is a fun story though I haven’t quite figured out what its theme is; sometimes, fun is the right answer.) Of course, my favorite is still the penguin story because “Penguins are factually the world’s best birds.” Arledge Comics, which is responsible for this beautiful collection of shorts, can be found on the web -- most notably on Facebook and, like us at penguinate, on Patreon. Check them out if you want well-written short stories with simply beautiful illustrations.